This alignment is on the East fringe of the Lake District. Starting in the ancient town of Penrith by the M6, the ley goes almost due S to the church at Askham, 31/2 miles away. Alfred Watkins in The Old Straight Track, provides a lengthy discussion on the connection between markets, markstones and crosses. He felt the prehistoric markstone determined the site of the market cross, and saw a link in the name 'market' with the earlier 'marker'. The market developed around the market cross, perpetuating earlier and perhaps different gatherings at the former stone. Watkins also referred to 'plague stones' around the country in terms of markstones, and pointed out that the tradition of trading at stone was revived at the time of the Black Death. The first record of markets at Penrith appeared in 1123, but Millward and Robinson indicate that this cannot be taken as the time when the market commenced; rather such records must often 'have been a recognition of commercial activities that were already in existence'. They further point out that the name of Penrith itself survived from before 'the waves of settlement that preceded the Norman Conquest' and hint that the heart of the small town could be based on 'some prehistoric earthwork'. One interpretation of 'Penrith' is 'the chief place at the ford'. We can be certain that the Plague Stone (the socket stone for a cross, in our opinion), marks a very ancient spot. The stone was, in fact moved during the building of the Old Peoples Homes, but a nonagenarian assured us it had been put back in its correct location. (We had in any case plotted our ley on a map drawn before the disturbance of the stone) Our elderly friend also showed us the trunk stump of a 'huge old tree' that had once shaded the stone. BUFORA records indicate that a number of UFOs have been sighted over and around Penrith. A photograph was apparently taken of one in 1965. By Druids raised in magic hour. Moving down the ley, the third site is a settlement (51882600) N of Yanwath Wood. Its W side is straight for about 250 yards, falling exactly along the line of the ley. No one is certain of the site's date, but the Iron Age is considered a good guess. The earthworks are now poorly defined. In Yanwath Wood itself lies the tree covered fourth ley marker Castlesteads (51852520). Thomas states that the site is 'without close parallel' but remarks that it is 'akin to the Iron Age hillforts'. The ley goes through the centre of the feature where there is an interesting looking stone. 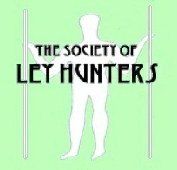 This may be purely fortuitous, of course, but ley hunters are notoriously suspicious of stones. The final point is St. Peter's, Askham (51822385). The present structure is 19th century, but it was built on the original plan and site of a very old church. The ley goes through the E end of the building. The immediate district is said to be haunted by the spirit of 'the bad Lord Lonsdale' who rides about in a phantom coach'. Statistically, this line is probably beyond chance, It could perhaps be extended to the N beyond Penrith.